WCOOP champ "Coenaldinho7" talks to @ChadAHolloway about the 3 biggest hands he played on his way to winning $1.3M. 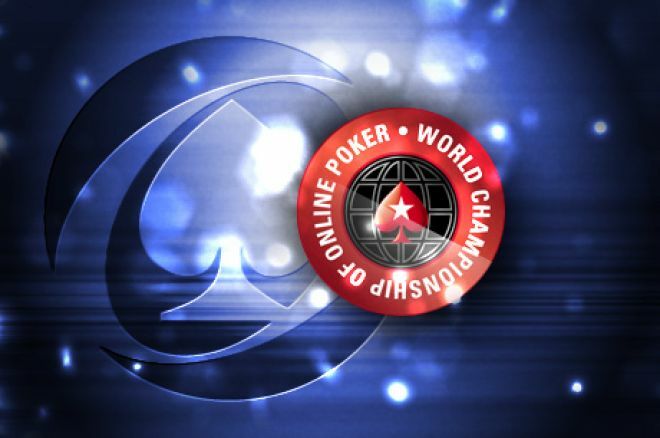 Belgium's "Coenaldinho7" topped a field of 1,995 to win PokerStars' 2015 WCOOP for $1.3 million. What were the most influential hands played by "Coenaldinho7" on his way to winning $1.3 million in the WCOOP? At the end of September, Belgium’s “Coenaldinho7” topped a field of 1,995 entrants to win PokerStars’ 2015 World Championship of Online Poker (WCOOP) for $1.3 million, a prize which he secured after a four-way chop. The $5,200 buy-in WCOOP Main Event is one of the poker world’s most prestigious titles, so obviously I wanted to learn more about Coenaldinho7. However, the PokerStars Blog beat me to it by offering a great profile on Coenaldinho7, who wished to remain anonymous. Even so, I wanted to talk with the man, so I decided to reach out and see if he’d be willing to discuss some hands from his big win for my latest Hold’em with Holloway column. Fortunately, he agreed to do so on the condition that I respected his anonymity. 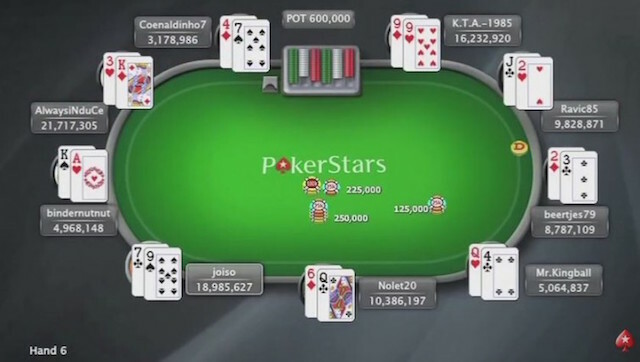 In one of the final hands of heads-up play, Coenaldinho7 was in the big blind with 32 million while his opponent, Poland’s “AlwaysiNduCe,” held 65 million. Coenaldinho7 then picked up , and AlwaysiNduCe . The turn then delivered a second . The hand resulted in the two players evening the stacks at roughly 50 million apiece. “It was a major bluff and got me back into a great position to eventually win the tournament,” Coenaldinho7 explained. Earlier on Hand #103 of the final table with five players remaining, Coenaldinho7 was sitting with 15 million when he picked up in the big blind. AlwaysiNduCe, who had 45 million, held in the small blind and the two ended up seeing a flop. With 12 million in the pot, AlwaysiNduCe decided to bluff, and with his trip aces Coenaldinho7 quickly called to score the big double. A short time later on Hand #144, there were still five players remaining. Coenaldinho7 held 28 million when he picked up pocket jacks, Russia’s “Ravic85” with nine million had , and Canada’s Guillaume “Nolet20” Nolet with 12 million was dealt a pair of aces. It was an interesting spot for Coenaldinho7 with his overpair of jacks, but to him the decision was easy. Nolet’s aces held on the river, Ravic85 was eliminated in fifth, and after that the remaining four players were able to negotiate a chop. The deal assured Coenaldinho7 a cash of $1.1 million, to which he added another $200K — and the WCOOP bracelet — after going on to win. There you have it. Those are the three most important hands Coenaldinho7, a 36-year-old with a newborn son, felt he played on his way to becoming the 2015 WCOOP champion. When asked about what he planned to do with the money, Coenaldinho7 sounded like he was going to take things as they come — much like he played the final table. For more on Coenaldinho7, be sure to check out the profile on the PokerStars Blog.